You are here: Home / Columns / PREVIOUSLY ON… #41: Spider-Geddon, Ice Cream Man on TV, and Marvel Unlimited’s Upcoming Comics! PREVIOUSLY ON… #41: Spider-Geddon, Ice Cream Man on TV, and Marvel Unlimited’s Upcoming Comics! This week I pick up Spider-Geddon, consider my life choices reading Ice Cream Man, and love the upcoming release calendar for Marvel Unlimited! Following the latest release of the upcoming Into the Spider-Verse animated movie (and most importantly, the major motion picture debut of Spider-Ham), Marvel’s multiverse of Spider-beings has never been more popular. Coupled with the costume-references found throughout Marvel’s Spider-Man for PS4, and the casual knowledge of, say, Spider-Punk is astoundingly high. To their credit, Marvel has actually timed an ongoing comic book event, Spider-Geddon, in line with this wave of hype. I say “actually” with some measure of snark (a teaspoon at most) because Marvel Comics is historically very bad at timing their comics to coincide with real human being’s actual exposure to cross media features. For example Marvel’s ongoing Infinity Wars event (no really, it’s happening right now) launched 2 months after Avengers: Infinity War became the biggest movie in the history of movies. Likewise, the ongoing Shuri, about Black Panther’s sister and princess of Wakanda, is mapped precisely 1 year after the character wowed audiences in Marvel’s Black Panther. Quality matters of course (if Shuri is just great, it’ll do fine) but timing can really help. The ongoing Spider-Geddon certainly has this in its favor. So, how are the actual comics? First things first, it’s essential to note that anyone looking to get in to Spider-Geddon should first check out the event that kicked off this wave, 2014’s Spider-Verse. 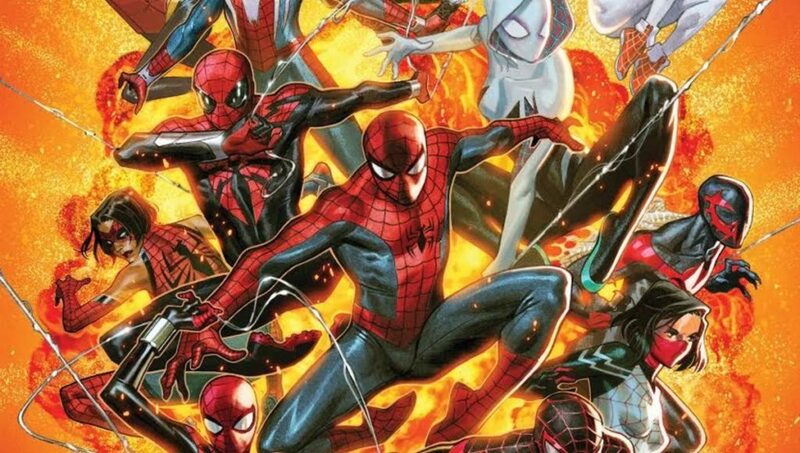 In addition to the broader plot set-up (Spider-Geddon is 100% a sequel), Edge of Spider-Verse and Spider-Verse also introduced a number of new characters across the Spidery multiverse. Same goes for the ongoing Web Warriors that followed in the wake of Spider-Verse, although I’d label that as optional. The Edge of Spider-Geddon books tell short stories of Spider-Punk (great concept, fine execution), Sp//der (much better origin story written by Gerard Way in Edge of Spider-Verse), Spider-Ben and Spider-Petey (my favorite of the bunch), and a wild reimagining of the Osborn’s and Peter Parker’s connections to the spider-gene (pretty fascinating!). In short, if you were game for these alternate reality / what if style tales of Spider-Men (and Women! ), Edge of Spider-Geddon scratches the itch and then some. The coolest development from the event so far occurs in Spider-Geddon #0, with the Marvel Comics debut of the all-new PS4 Spider-Man. A wise man once said something about timing (I hear he’s quite the studmuffin as well), and I honestly can’t imagine a more compelling way to launch an event than an instant connection to the world’s hottest video game. The Christos Gage and Clayton Chrain issue measures up to the quality of the game’s hero, and has reinvigorated my enthusiasm for this swarm of spiders. One trend I’ve been eagerly anticipating is the post-superhero explosion of comic book’s influence on TV and movies. Truth be told I’d prefer this occurred through original concepts rather than the upcoming deluge of adaptations, but shows like Legion or Preacher have shown recently that in the right hands, even familiar comics source material can feel invigorating. The coming years are jam-packed with the post-supers boom, from Deadly Class to Y: The Last Man to Chilling Adventures of Sabrina… the list goes on and on. Not to mention the much-hyped, frankly too tantalizing to sleep-on reboot of HBO and Damon Lindelof’s Watchmen (although post-supers may not apply as accurately). Regardless of how many of these shows even come to fruition, or truly succeed, there’s a recent genuinely odd entrant that has me endlessly excited: Image Comic’s Ice Cream Man . Initial reports of the series move to TV say the horror anthology will channel The Twilight Zone and Tales From The Crypt, and given that the ongoing title already wears these influences on its terrifying spider-covered sleeve, it’s not hard to imagine. 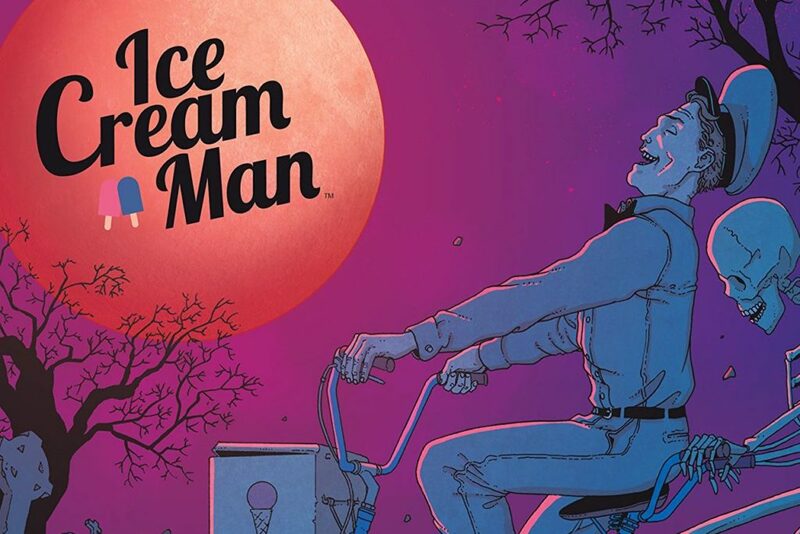 I have wildly high hopes for Ice Cream Man on TV, not least of which due to the fact that I read Ice Cream Man #6 this week, and it’s without question in consideration for most impressive comic of the year. Additionally, though, Ice Cream Man is still very much in its infancy as a comic, meaning the TV show can leverage and surpass the existing material. There aren’t already impossibly high standards to live up to (looking at you Y: the Last Man and Invincible), and the episodic tone of the series leaves almost limitless possibility for artistic direction. So, yes, if comics are to invade all media, let’s keep the weird ones right at the front of the line. 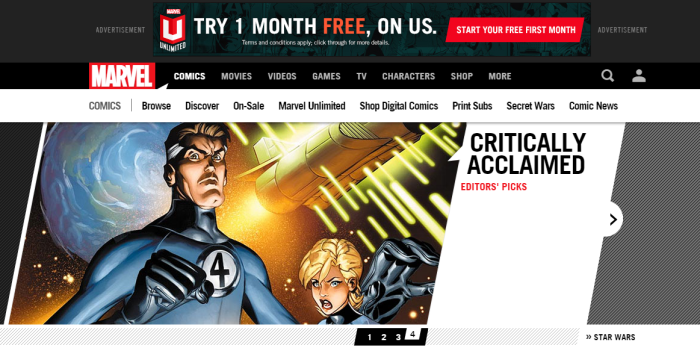 Small little thing to love this week that has saved me a lot of time: It’s Marvel.com’s articles detailing what’s upcoming in Marvel Unlimited! They have apparently been announcing the month’s planned uploads with some regularity, but this is the first I’ve noticed. So rather than predict additions through advanced technical know-how (see also: excel guesswork), I can just pull straight from the source. In short, this means my planned reads to talk about on the Best Comics Ever podcast are knocked out on the first of the month!